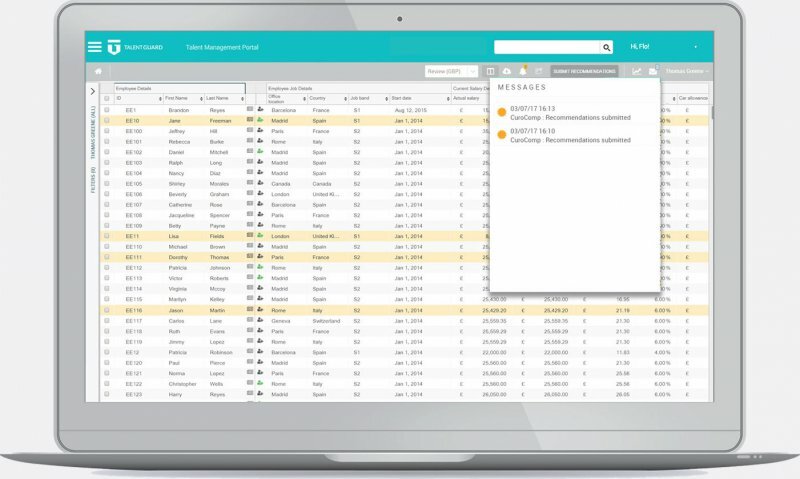 Intuitive and accurate workflow to ensure compensation plans are on time and within budget. Receive actionable insights to drive new reward strategies. 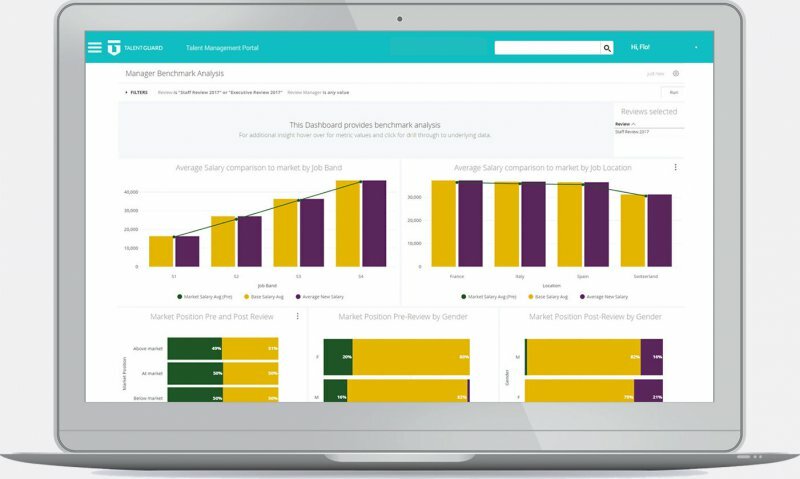 Real-time view to support informed and transparent pay decisions. 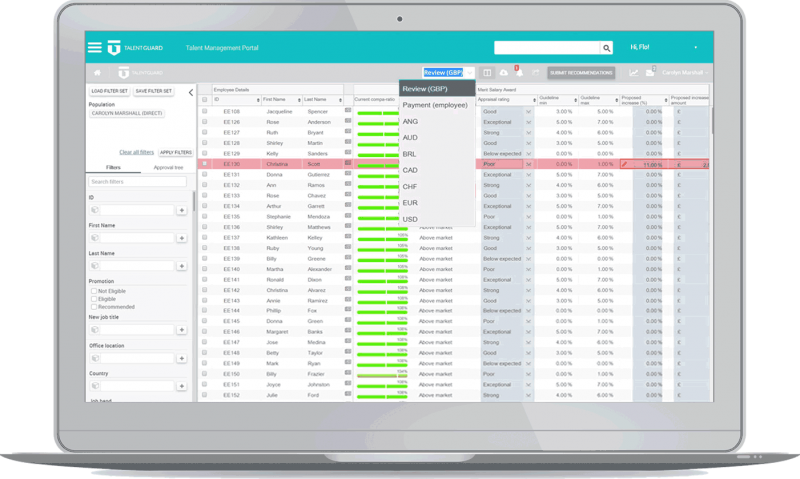 Preview high-level information across various compensation categories within the compensation dashboard. 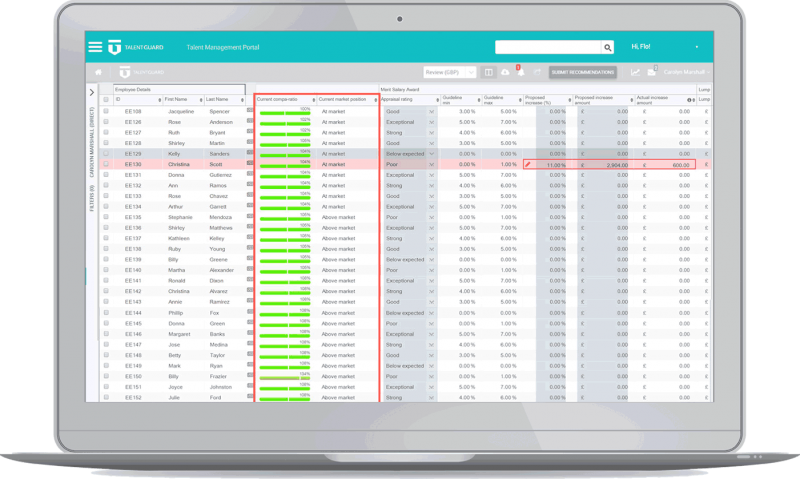 View employee information and make salary changes within the compensation grid. Filter and configure the chart to arrange employee information. 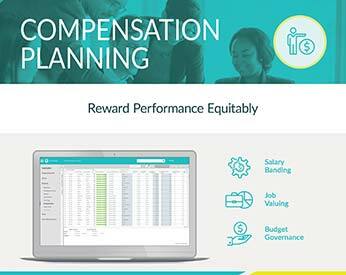 Align salary and bonus recommendations based on performance ratings. Access market information to use during salary planning and benchmarking to ensure competitive pay. Rules can be configured to handle cascading approvals. 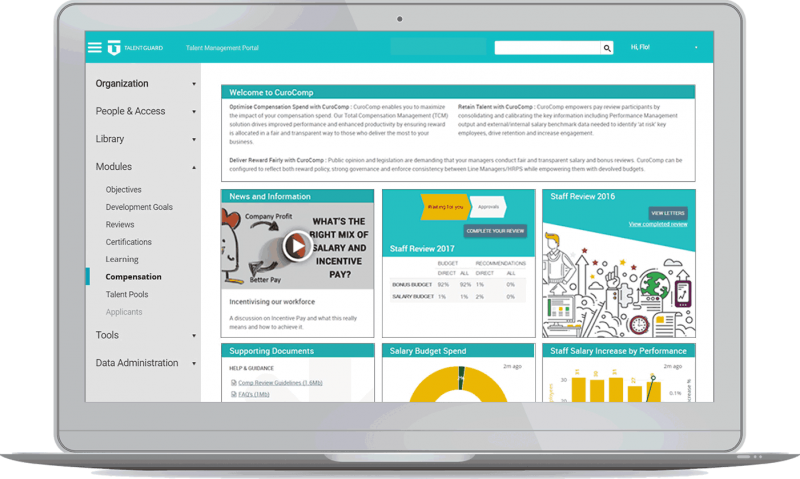 The benchmark analysis and reporting dashboards provide a single consolidated view of all data used in the compensation review cycle. Twenty percent greater performance when measured by revenue and profit growth. Twenty-five percent decreased turnover due to improved performance-based pay. 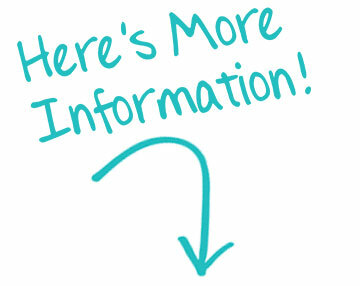 Thirty-three percent increase in compensation transparency related to performance scores and salary structure.